I’ll be on the road much of the summer – shooting on assignment for various clients and photographing Colorado wildflowers. I certainly do not mind escaping the Texas heat, and I do love the mild afternoons and cool mornings here in the Rocky Mountains. I spent several days this past week in Snowmass Village/Aspen and at the Maroon Bells. It was a pleasure to work with Laurelwood Condominiums in Snowmass Village, and I always enjoy my time around Maroon Lake and the Maroon Bells Wilderness. When I arrived, I had several goals – to photograph the Maroon Bells in the evening, in the early hours of the morning when the Milky Way is overhead, and just after sunrise. I was blessed with perfect conditions for each phase of this shoot. Also, the client wanted black and white images, and the clouds and conditions cooperated. 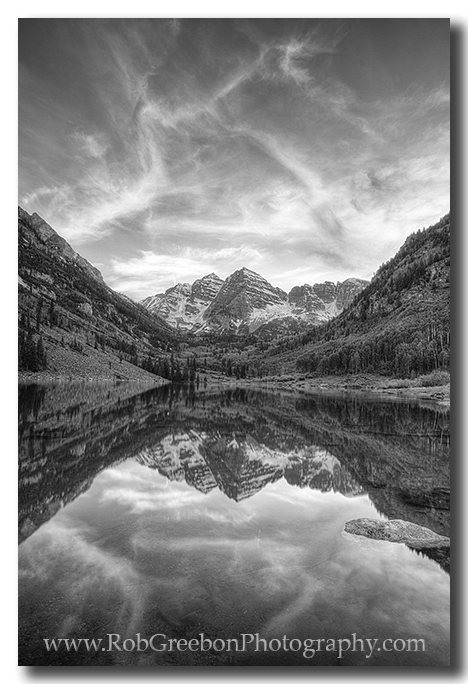 Evening falls over the Maroon Bells in this black and white Colorado Image. 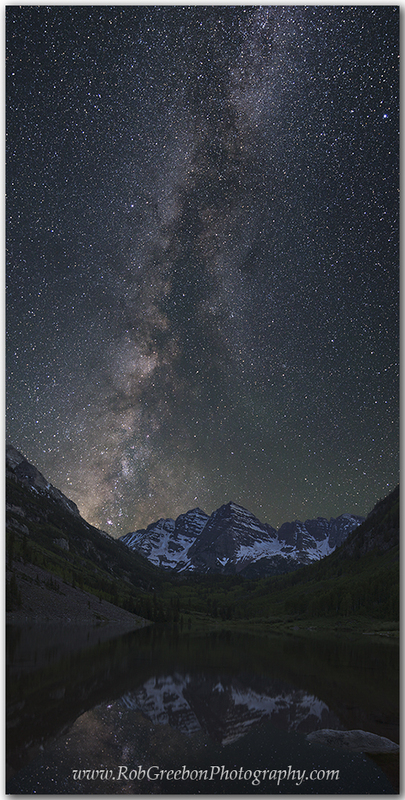 The Milky Way rises over Colorado’s Maroon Bells during the months of June and July. 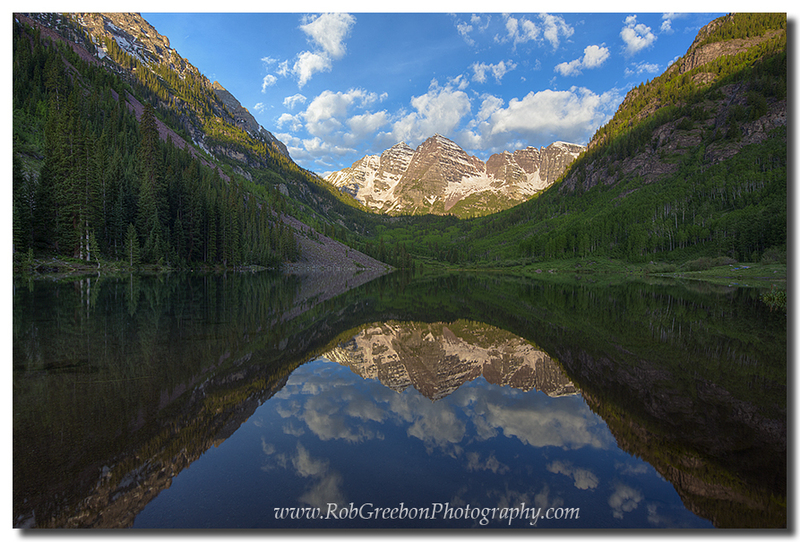 Morning comes to the Maroon Bells in this image from Colorado’s Rocky Mountains near Aspen. You can see more images from this shoot on my Colorado Images gallery. Soon the Colorado Columbine will be blooming. These are Colorado’s state flower, like the bluebonnet is in Texas. On a hike yesterday, I noticed several blooms already showing their shades of blue. With the melting snows, it will not be long until the wildflowers grace the meadows and valleys of these Rocky Mountains. Feel free to follow my photograph on facebook.